I write because yesterday amongst friends it was said that praying at home and listening to podcasts is enough for spiritual growth. I think that’s a great way to enhance your spirituality but incomplete, here’s why? Today as we live in a more secularised society it requires supernatural strength to overcome the many temptations. The eucharist then for me becomes a font of energy to love as Christ loved, the see people as Christ sees them. I believe that receiving the eucharist strengthens me and helps me on a daily basis. 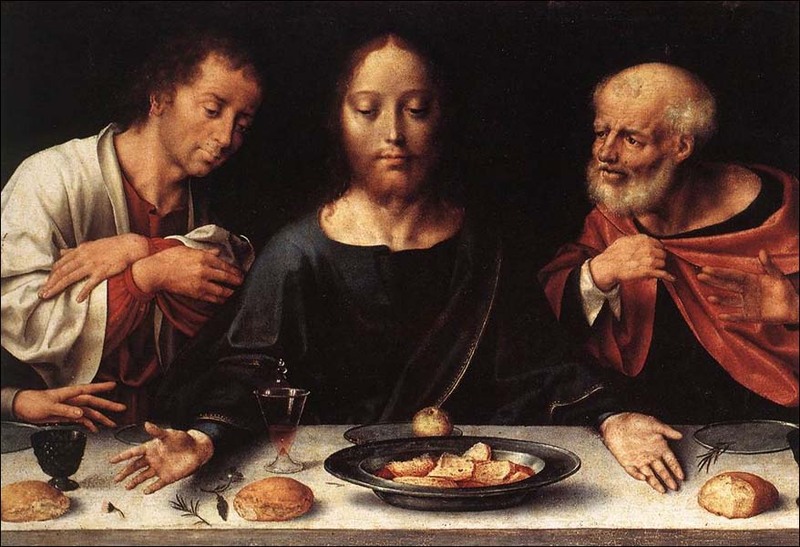 Jesus, at the “Last Supper” on Holy Thursday instituted the mass and the eucharist as a way of connecting to Him and for us to grow in love of Him. So, the more we partake in this mystery, the more we receive the real presence in the eucharist, the more we become like Christ. Jesus didn’t mean for this to be a once only. He wanted us to continue with the mass and the eucharist long after He was gone, so that we may be strengthened by His body and by His precious blood, His way of passing His saving power. The presence of the risen Christ in the Eucharist is an inexhaustible mystery that the Church can never fully explain in words. We must remember that the triune God is the creator of all that exists and has the power to do more than we can possibly imagine. By his Real Presence in the Eucharist Christ fulfils his promise to be with us “always, until the end of the age” (Mt 28:20). As St. Thomas Aquinas wrote, “It is the law of friendship that friends should live together. . . . Christ has not left us without his bodily presence in this our pilgrimage, but he joins us to himself in this sacrament in the reality of his body and blood” ( Summa Theologiae, III q. 75, a. 1). This is what Jesus intended for us as a way of remaining close to Him, accepting His saving power and salvation, then why wouldn’t I partake in it? I thought I posted a comment here yesterday, perhaps I did not send it. I have a post on my blog about repetition in John 6, and similarly James 2, as well as a new post on repetition in Ezekiel 3, 18 and 33. Quite striking. Do have a read and let me know what you think. WOW!! !How good is that? Thank-you for stopping by. I particularly love this bible quote in John 6:54-56…….. “Those who eat my flesh and drink my blood have eternal life, and I will raise them up on the last day; 55 for my flesh is true food and my blood is true drink. 56 Those who eat my flesh and drink my blood abide in me, and I in them”. Please visit again. Have a great day! I have an article on my site (new, the only one!) on repetition in John 6 and just as much in James 2. Do drop in. If you like I’ll put one up on repetition in Ezekiel 3, 18 and 33, just as stunning!